NC State, Craft Beer, Carolina Cooking. There’s plenty of reasons to move to the Research Triangle’s biggest city. Whether you’re curious about North Carolina barbecue traditions, want to live near a thriving music scene, or just want to be a part of the wolfpack, you’ll want to strongly consider moving to Raleigh. The city is extremely livable too, sporting a solid job market, some pretty great weather, and plenty of reasons to be outside. This college town is attracting young professionals and new families looking for a “hip” city with plenty of action but still offering some Southern comforts. There is a lot to know when moving to Raleigh and the process can be intimidating. That’s exactly why we’ve put together this guide packed with all the info you’ll need to plan your move. Which Raleigh neighborhoods are most affordable? Which neighborhood in Raleigh is the best fit for me? How long is the commute in Raleigh? How’s the walkability, bikeability, and public transportation in Raleigh? Where can I find apartments and houses in Raleigh? 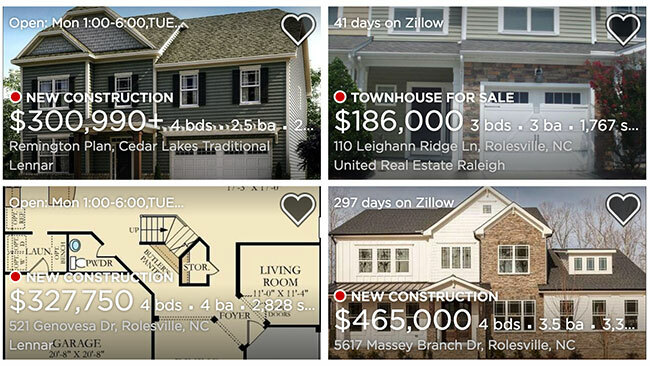 How much will it cost to move to Raleigh? What’s fun to do in Raleigh? And if you’re looking for more info on moving to Raleigh, check out our Raleigh move cost guide. Raleigh has a population of 468,990, making it the 41st most populated US city. As of early 2018, average rent in Raleigh is $1,025, which is the 32nd highest average rent in the US. Raleigh has a fairly high cost of living and is the 52nd most expensive city in the United States. Now, check out this awesome drone tour of Raleigh! Raleigh is a city with no shortage of great neighborhoods that fit a variety of lifestyles. As the largest city in the North Carolina Research Triangle, Raleigh’s outer neighborhoods are typically lumped in with its neighboring Durham and Chapel Hill. 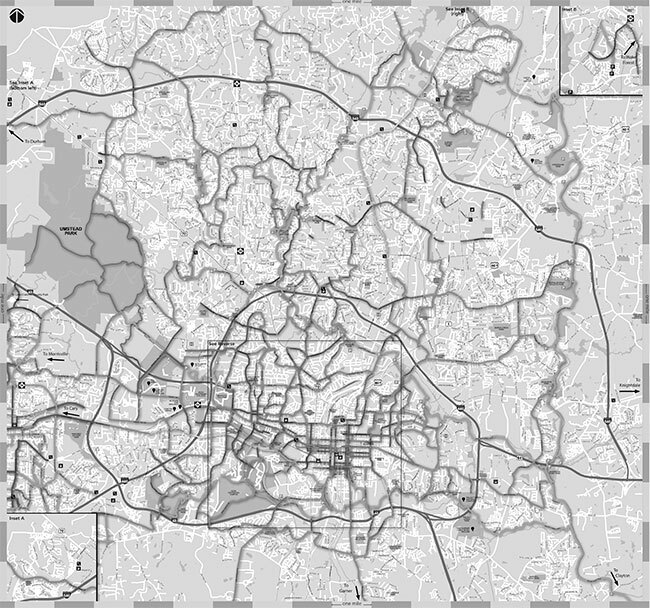 Generally, the neighborhoods of Raleigh can be divided into four distinct regions; Inside the Beltline, North Raleigh, West & Southeast Raleigh, and South & East Raleigh. 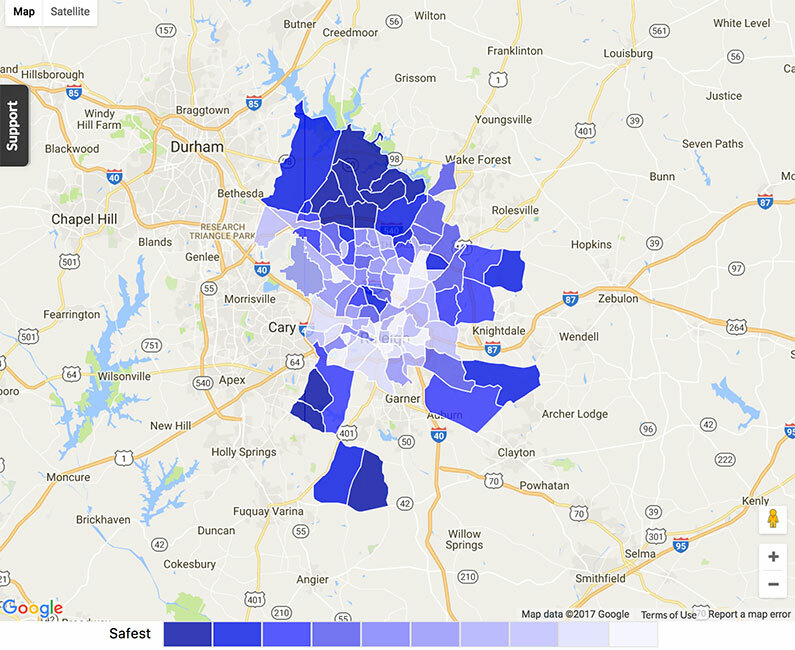 Looking at the Rental Hotspot Map from Trulia, you can see that rental prices are pretty consistent throughout most of Raleigh and only begin to decrease as you get closer to the edges of the city. The (slightly) more affordable areas are going to be furthest away from the center of town. Neighborhoods like South Central, East Raleigh, Southwest, and Northeast will cost somewhere between $750 and $1,000 per month. Meanwhile, more mid-range places in the city like Five Points, Northwest, Six Forks, and Hillsborough can cost anywhere from $1,150 to $1,425 to rent. The most expensive neighborhoods are going to be near the center of town such as Wade, Glenwood, Central, and North Central will have a monthly rent ranging from $1,500 to $1,750. Affordability is only part of the equation though. You should also make sure you like the people you’re living near. Where in Raleigh are people like me living? Everyone wants to be a part of a community they relate to, which is why the Zip Tapestry Tool by Esri is a great resource for finding the place where you’ll fit in the best. For instance, plugging in the zip code for Morrisville (27560) will display the three largest demographic subsections found in that area. It’s super helpful to give you a feel for any neighborhood. Before you rush into a decision, you should probably make sure you can handle the commute though. between 15 and 24 minutes, which is in-line with the national average. Morning Rush Hour in Raleigh tends to fall somewere around 7:00-8:30 a.m., so take that into account when planning a commute. In an effort to curb some of the traffic congestion throughout the city, Raleigh has recently implemented a Transportation Demand Management program to encourage the use of carpooling and public transportation. This is good because public transportation in Raleigh could definitely use a boost. For a city of its size, Raleigh has pretty limited public transportation, isn’t super walkable, and is only somewhat bikeable. There are definitely areas of Raleigh that are accessible on foot, but with a walk score of 30, they’re going to be pretty inconsistent. The more central areas of the city are fairly walkable but walkability will get pretty patchy the further you stray from Downtown. A bus score of 25 is…less than ideal. Still, the city seems to recognize that Raleigh’s bus system has some serious flaws to address. 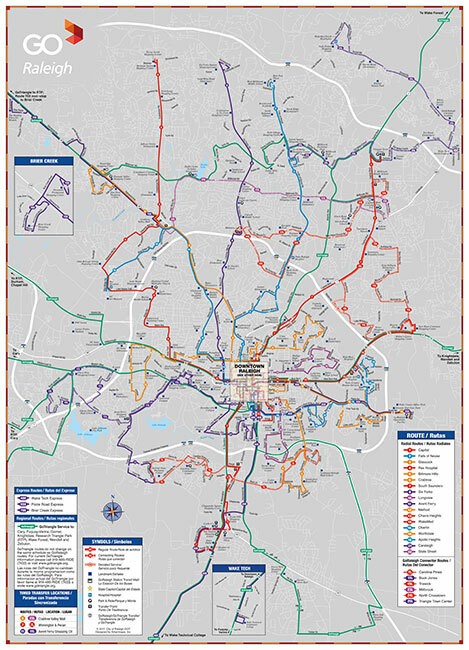 Recently, the GoRaleigh program has seen the expansion of many bus routes with more planned for the future. Additionally, there are some fairly useful transit options for traveling between cities in the Research Triangle with the GoTriangle service. Those who prefer traveling on two wheels might have a bit more luck getting around though. Raleigh has a bike score of 41 which isn’t terrible, but it does mean routes are fairly limited. Due to both heavy traffic and a lack of widespread public transportation options, organizations such as BikeRaleigh are dedicated to providing information and resources for cycling around the city. Since 2015 the City of Raleigh Bike Program has been working to improve bikeability through the BikeRaleigh Program. But even if you can find a convenient way to navigate your new neighborhood, you should make sure you know how safe it is. Every city, no matter how big or small is going to have some amount of crime in it. That’s why it’s important to have some perspective on crime rates. According to NeighborhoodScout, the crime score in Raleigh is only 11 (with 100 being the safest possible score). But, it’s important to keep in mind that crime doesn’t necessarily mean unsafe. In fact, of all the crimes reported in Raleigh, only 11% accounted for violent crime. Not bad. Some neighborhoods are definitely worse than others so use the crime map to spot shady areas. Alright, let’s get looking for a place to live. 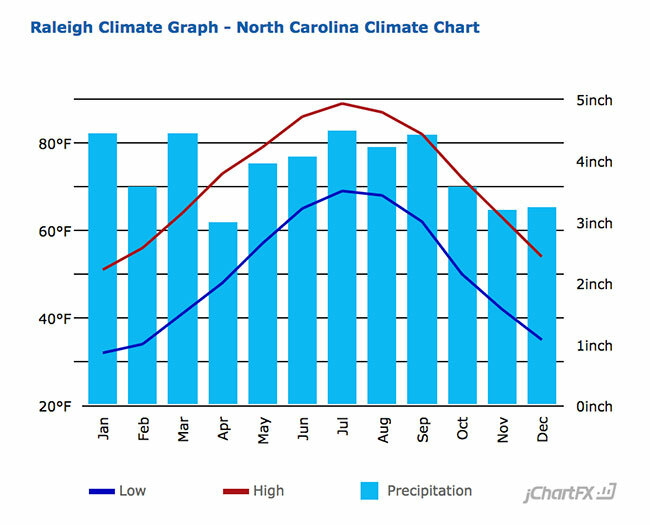 Raleigh is located pretty squarely in the Southwest which means you’ll be in for some pretty muggy summers, but also relatively light winters. Summers in Raleigh can get pretty hot and humid and winter brings fairly cold nights, so you’ll almost certainly want an apartment with heating and air conditioning. You’ll wanna think about your apartment utilities cost when looking for a place to rent too, to make sure you budget properly. And due to the low walkability, you’ll probably want a washer/dryer unless you’re living Downtown with easy laundromat access. With Raleigh being home and neighbor to a bunch of schools, apartments will typically go on the market approximately 2 months before the end of each semester. Below are some of our most preferred sources for finding apartments in Raleigh. Once you hit each site, you can use their search function to find places that fulfill each of your specific needs like utilities, price, and location. It might not feel super professional, but Craigslist can be a great source for rentals that are a bit more reasonably priced, as long as you look in the right places. The rental market in Raleigh is stable but options can be limited depending on your timing. Within the first six months of 2017, average rent in Raleigh has decreased by 0.61% withing the early parts of 2018, which isn’t much more than the overall decrease of 0.4% throughout the United States. The vacancy rate in Raleigh is a similar story, sitting at 5.05% which is slightly lower than the overall U.S. rate of 5.85%. Fortunately, there are new developments in progress in Raleigh that might help to alleviate some of the pressure on the rental market. A competitive rental market usually leaves the window open for shady landlords to take advantage of tenants without better options. Now, if you’re looking for something a little outside the city, Raleigh has plenty of suburbs to choose from. As part of the Research Triangle, Raleigh shares many of its suburbs with Durham and Chapel Hill. This means that there are plenty of options all located near a major hub. Currently, the median home value in Raleigh is $222,300, a 7% increase from 2016. As a capital city, homes in Raleigh proper are going to be fairly expensive. Looking to suburbs in the surrounding area should provide more affordable options. For families who fall on the more affluent end of the economic spectrum, Cary has a lot to offer. Cary boasts high-end homes, picturesque streets, and a 20 minute average commute to each of the Research Triangle’s major universities. Meanwhile, the town of Rolesville offers more moderately priced homes (they’re still kind of expensive though), a 30 minute commute to Raleigh, and a nice selection of peaceful subdivisions. Use our moving cost calculator to estimate your moving costs to Raleigh. Before you move, it’s a good idea to make sure you have the proper documentation for parking a moving vehicle outside your new Raleigh residence. Check with the Raleigh ParkLink office to ensure it’s alright to park your moving truck. In the hot Raleigh summer stay hydrated during your move. You’re almost done! The most stressful part of moving is over and all that’s left are a few things to fully establish yourself as a Raleigh resident. Driver’s License: It’s important to update your ID with your new address after moving for a variety of reasons that should be self-evident. Check out the Raleigh DMV to get this done. Out-of-State Vehicle Registration: On a similar note, if you’re bringing a car with you from out of state you should switch to North Carolina license plates as soon as you can. Trash & Recycling: And you should definitely contact the Raleigh Solid Waste Services Department right after moving to set up garbage pickup. Voter Registration: You shouldn’t need much convincing to get this taken care of as soon as possible. It’s an important civic duty and all that. To make things easy, here’s the link for Raleigh voter registration. Meet People and Make New Friends: This is the hardest part about moving. Fortunately, the internet is here to help connect you with people who share your interests on Meetup and help you keep up with events around town through r/Raleigh. If you’re looking for a broad overview of what Raleigh has to offer, visitRaleigh is a solid resource for finding everything from entertainment to food and museums. 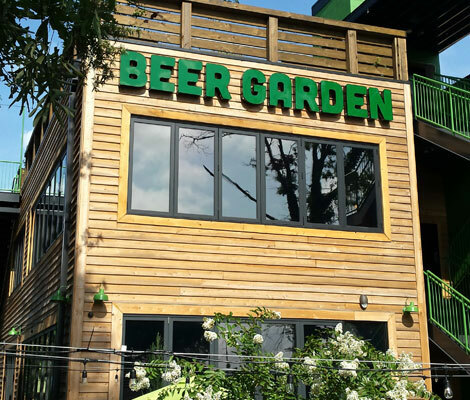 For those looking to wet their whistle with some libations, Raleigh Magazine has a solid list of the 50 Best Bars in Raleigh which includes establishments like Foundation, Vinos Finos, and The Raleigh Beer Garden. 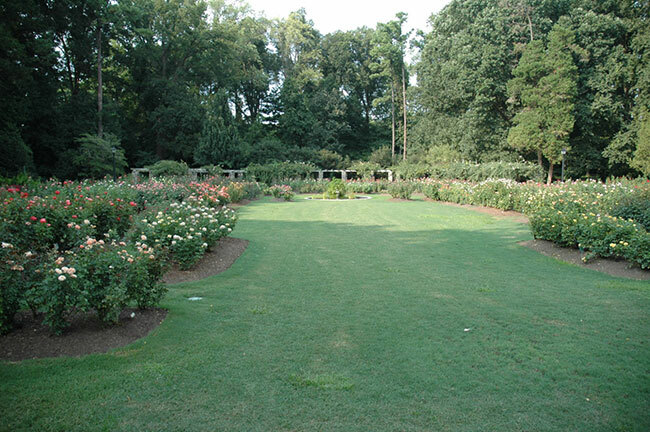 There are also a ton of parks in Raleigh for people looking to get out in the fresh air and enjoy some beautiful North Carolina scenery.